One fateful day, all of humanity turned to stone. Many millennia later, Taiju frees himself from the petrification and finds himself surrounded by statues. The situation looks grim--until he runs into his science-loving friend Senku! Together they plan to restart civilization with the power of science! Senku, Taiju and Yuzuriha are well on their way to crafting gunpowder when they spot smoke far off in the distance. Convinced that it's a sign of other humans, Senku takes a huge risk by sending up a smoke signal of their own. Meanwhile, Tsukasa is determined to stop their progress on gunpowder, and his arrival on the scene could spell the end for our heroes! 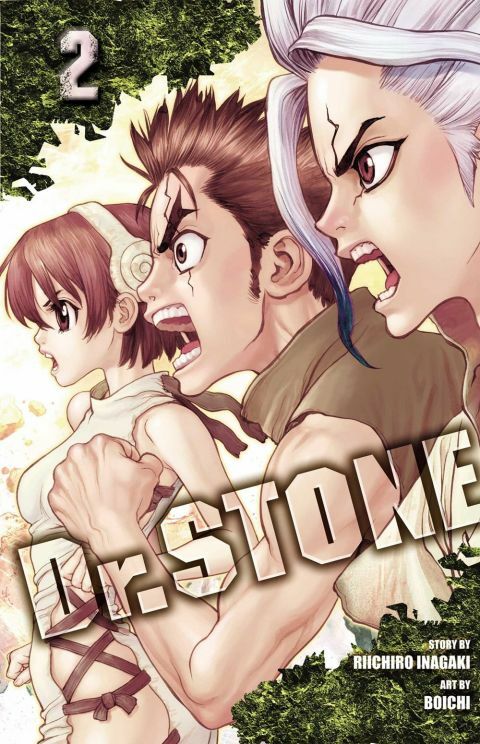 Other products for "Dr. Stone" in "Books"